Cycling is a sport that is inclusive of athletes of all disabilities. Athletes can compete on a track or on the road. Track racing has various types of events including sprints and individual time trials whilst road races are conducted on regular roads. Cycling was first developed by visually impaired cyclists who competed using tandem bicycles. It was introduced as a Paralympic Sport in Seoul in 1988. Today the sport includes four groups of handicaps; blind and visually impaired riders, people with cerebral palsy, locomotor disabilities and handcycling. Handcyclists are athletes whose lower extremities have been amputated or suffer a degree of paralysis. Athletes race on bicycles, tricycles, tandem or handcycles based on their impairment. Handcycles are unique as they are powered by the arms not the legs. Para-cycling is governed by the International Cycling Union (UCI). Para-cycling/handcycling uses traditional cycling rules. The only difference relates to equipment regulations. Cyclists are allocated a specific bike depending on their level of functionality. There are 4 types of bikes. 1. Tandems: used by athletes who are visually impaired. 2. Handcycles: used by quadriplegics, paraplegics or amputees of one or both lower limbs. 3. Tricycles: used by athletes with a brain injury who need more stability due to their limitation. 4. Standard bikes: used by athletes with a mild brain injury, amputation or any other form of disability of their upper or lower limbs. As in able-bodied cycling, there are road and track events. However, track events are limited to athletes who use a standard bike or a tandem. Click here to download the International Rule Book. To be eligible for cycling an athlete must have vision impairment or a physical disability. The physical disability must include one or more of the following: limb loss or deficiency, loss of muscle strength, debilitating muscle tension/spasms, joint movement restrictions or leg length difference. Para-cycling athletes are classified according to the extent of activity limitation resulting from their impairment. To group athletes for competition. Tandem Bike B Cyclists with a vision impairment who have a visually acuity at or below 6/60 or a visual field less than 20 degrees radius. Cyclists ride on a tandem cycle with a pilot at the front of the bike. C1 Riders with disabilities in their arms, legs and trunk who require assistance to mount and dismount the bike, start and stop. Riders have sufficient control to ride a two-wheeled bike but are unable to rise out of the seat. C2 Riders with impairments in two to three limbs, with better balance and control than C1 riders. Riders may have brakes mounted on one side to preference their stronger side. Riders may require assistance to mount, dismount, and start and stop the bike. Riders may be able to rise off the seat during sprints and starts but may choose not for control. C3 Riders with impairments in one to two limbs. Riders with limb loss do not use prosthesis. Riders may have brakes mounted on one side to preference their stronger side. Riders are able to mount, dismount, start and stop the bike by themselves. Riders are generally able to rise off the seat during sprints and starts. C4 Riders with impairments in one to two limbs. Riders with limb loss who use a prosthesis with no brake and handle bar modifications. Riders are able to mount, dismount, start and stop the bike by themselves. Riders are able to rise off the seat during sprints and starts. C5 Riders who have minimal disabilities in one limb that affects their grip, gear operation and brake use. Handle bars and brakes are often modified. T1 Riders who have poor balance who are not able to ride a conventional bike safely but have sufficient leg movement and balance to ride a tricycle. Compete in road events only. T2 Riders with better balance and arm control than T1 riders who are not able to ride a conventional bike safely. Take wide turns on turns. Compete in road events only. H1 Riders with impairments in their trunk, arms and legs who are unable to use a conventional bike or tricycle. All riders use a recumbent (lying down) position on their handcycle, for arm power use only. Compete in road events only. H2 Riders are able to generate force with one or both their arms to propel the handcycle, with no leg and trunk control. All riders use a recumbent (lying down) position on their handcycle for arm power only. Compete in road events only. H3 Riders are able to use both arms and have limited trunk control. All riders use a recumbent (lying down) position on their handcycle, for arm power use or arm and trunk power use. Compete in road events only. H4 Riders are able to use their arms, with some trunk movement, but are not able to use the kneeling position on a handcycle safely. All riders use a recumbent (lying down) position on their handcycle, for arm power use or arm and trunk power use. Compete in road events only. H5 Riders are able to use their arms and trunk. They have good coordination and balance sufficient to use a handcycle in the kneeling position (legs tucked under), but are unable to safely use a conventional bicycle or tricycle. Compete in road events only. To get classified please contact your State Cycling Classifier via the Cycling Australia website. Following this link, click on the classifiers name and you will be directed to their email address. Cycling is a great form of outdoor exercise that can be enjoyed as a recreational activity or as a competitive sport. Para-cycling/handcycling promotes independence and the integration of athletes into the mainstream sport. All you need is a customized bike that can be purchased/hired through your local club. Join now for the chance to get fit and have fun with active, like-minded people. Every state has a local cycling program which is open to players of all skill levels. To start participating, contact your state affiliation listed in “Who Runs The Sport”. Beginners should join their local cycling club to start participating in club races. There is a pathway for club champions to progress to state, national and even international competitions including the Paralympics and World Championships. Find the nearest para-cycling club by contacting your state office listed below under “Who runs the sport?”. The best pathway for club level champions to progress to state and national competitions is via the Australian Paralympic Committee (APC) development programs. The APC recruits and trains talented athletes so they can reach their full potential and maybe one day represent Australia in the Paralympic Games. In competitive cycling an official is called a ‘commissaire’. Level 1: a course that specifically trains commissaires for club races. Level 2: a course that develops local and state level commissaires. Level 3: the most advanced national officiating course. Upon completion you are qualified to officiate at National events and Championships. Rules and knowledge test – candidates are given a manual and workbook to study and then complete a written test. Practical Assessment – candidates are observed by a qualified commissaire as they officiate an event.  The Australian Paralympic Committee works in partnership with Cycling Australia to identify and train suitable classifiers. A candidate is required to attend a program run by approved Classification Educators. Upon successful completion of the program individuals are certified by the APC as Australian National Classifiers. Medical classifiers: Currently registered medical professional (physiotherapist or medical doctor); with minimum 5 years clinical experience with people with physical disabilities. It is an advantage to have a background in cycling or classifying other sports. Technical classifiers: Must hold a Bachelor or Master degree in sport science/ kinesiology / human movement science or other equivalent; and cycling experience. It is crucial that classifiers have a strong understanding of para-cycling. To ensure this, candidates must have experience in cycling either as a participant, volunteer, coach or administrator. To find out more about the classifier pathway contact the Australian Paralympic Committee via email auspara@paralympic.org.au or phone +61 2 9704 0500, or call Cycling Australia on (02) 9339 5800. Cycling Australia is always looking for diligent cycling fanatics to join their team as volunteers. Your official title will be Cycling Australia Rouleur, ‘rouleur’ being a cycling term for ‘all-rounder’. And that is exactly where you will be, all around the event. Click here to view the Volunteer section of the Cycling Australia website. Please also contact your state association (listed below in “Who Runs the Sport?”). They will inform you of upcoming local and state events you can get involved in. Cycling Australia is the peak national body for Para-Cycling. If you have any questions please contact your Cycling Australia state association listed above.